This morning while sitting at my computer I was considering several possible topics for this weeks blog article. Of the various thoughts I had, I had no idea that I would be writing on the death of a Cincinnati Police Officer. A topic I would never want to write about, but yet I must. The first notice was a IPAD notification by a local news outlet that a Police Officer was down in Madisonville. Upon seeing this a dark cloud of dread came over me. I immediately began scouring various news sources trying to get more information. It was reported that a District Two Cincinnati Police Officer had been shot in the chest and had been taken to University Hospital. The University of Cincinnati has a renown trauma center and that gave me hope. It was also reported that he was wearing body armor, and that gave me further hope. I continued to hold out hope when Police Chief Jeffrey Blackwell told the media he was in critical condition at the hospital. At 10:32 I received a private message with the dire words “Sonny Kim was shot and killed”. I no longer had hope and my worst fears were realized. During my 42 year tenure with the Cincinnati Police Department there have been 14 police officers killed in the line of duty. Some I did not know,some I knew, and some I knew well. Three of those killed were members of my police recruit class. But from the first in 1971 until today’s tragedy it has never gotten any easier to hear this news. It horrifies me and it saddens me and it is never something one gets used to hearing. I think what bothers me the most is thinking about those left. For the police officer killed, it has all ended. They served and they died a heroes death. No police officer wishes to die but I believe if a poll were taken, most would say that if they are to die, they would prefer to die doing their sworn duty. I knew Officer Kim professionally, but I did not know him well. But I know this. I know he is a hero and that he died a hero’s death. In the Bible, John 15:13 says “Greater love has no one than this, that one lay down his life for his friends.” That says it best and that says it all. Far too many people take the killing of a police officer for granted. They see it on television and in the movies. They see it in video games and read about it in the papers. Far too many people assume it is just a part of being a police officer. Far too many people are more concerned when a criminal is killed by a police officer than when a police officer is killed by a criminal. I only ask that people remember who the good guys are and who the bad guys are. Remember that today’s death of a police officer is a tragedy as he was killed by the actions of a criminal, and the death of the criminal is because of the actions of the criminal. Officer Kim was directed to respond to the scene and he was doing his duty. The other guy, well, he was just being a criminal and doing what criminals do and he alone is responsible for his death. My heart is broken for what has happened to Officer Sonny Kim but I will shed no tears for the death of the criminal. Today Officer Sonny Kim is the 57th police officer killed in the line of duty in the United States this year. I have written in a blog article earlier this year asking us all to not forget the names of the valiant heroes who have given their lives in the line of duty. I ask again for us not to forget Sonny Kim’s name. Officer Sonny Kim, thank you for your service. 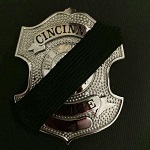 My thoughts and prayers go out to his family and to the Cincinnati Police Department for this tragic loss. I’m so deeply saddened for the loss of officer kim. May he rest in peace. Well said, Tom. Simply tragic. Tom, I’ve yet to meet you, (hope to someday) but,,,,,thank you for this post and your perspective to our profession. “We” all need the voice to be heard …. Thank You ! !